I was reading the second edition of Benoit’s Accounts, Excuses, and Apologies and was very surprised to find rather scathing attacks on other crisis communication theories including Corporate Apologia, Discourse of Renewal, and Situational Crisis Communication Theory (SCCT). The names associated with these theories have all written at least one book each on crisis communication. None of them saw the need to attack the other theories. Rather, these volumes are respectful of the other theories and note how they have contributed to the field. Each theory has its own focus and limitations. When I teach, I talk about limitations and use the term constructively. Limits are natural, all theories have boundaries. Knowing the limitations helps students understand when to use a particular theory for an analysis. I take great pains in the courses not to critique the theories because each has value. I would rather focus on what the theory can add to the field and when each can be used most effectively for analysis. What was most troubling was the inaccurate nature of the attacks. I will speak to SCCT since that is the theory I know the best. The first critique is the a priori nature of crises. SCCT does base its assessment of crisis threats on crisis types. In most organization crises (SCCT is designed for organization crises and is not a generic theory of crisis communication), there are identifiable types. For instance, there are hundreds of product harm crises a year and those are easy to identify. Yes, there will be those crises that are blurred and unclear, that is when crisis consultants are needed and make their money. But most crises are specific types and crisis managers examine the contextual clues to see how the crisis is being defined. Organizations can attempt to redefine the crisis but successes are rare. The example given is deception. The evidence redefined Tylenol as product tampering (the rarest of crisis types) not Johnson & Johnson. The carnage of failed attempts to redefine crises include: Intel, Union Carbide, Audi, and Rail World. SCCT limits its discussion of redefinition to rumors (misinformation crises) and challenges. This is a rather minor point and a clear point of different between the two theories in terms of the emphasis on redefinition. Second point is that SCCT ignores audience beliefs and attitudes. SCCT is actually driven by attributions of crisis responsibility—an audience factors. SCCT does assess crisis responsibility in its studies. Image Repair Theory has been critiques for being too sender oriented (Lee, 2005) and the latest version does note audiences more. Again, more of a limit than a critique. It is wrong to say SCCT ignores the audience when its key driver—attributions of crisis responsibility—is the audience. The audience is the primary factors that drives the evaluation of the crisis situation. SCCT does not focus on creating different messages for different segments of the audience. The reasoning for that is two-fold. First, today’s media environment means it is difficult to send a message just to one specific segment of the audience without the others seeing it. Hence, there is a great need for consistency in crisis messages. This demands the crisis communicators focus messages on the most difficult segment—the victims. If the managers handle communication with victims well, the other segments will be taken care of as well. Yes, you can find segments in crisis audiences (there are a number of empirical studies that do) but it is problematic creating and disseminating separate messages for them. Second, the messages elements for specific publics is done on the tactical level. For instance, adjusting information for employees differs from that of employees but that is the tactical level of how the strategy is operationalized. Again, SCCT does not focus on the different segments but that is consistent with the assumptions of the theory. Benoit does a poor job of articulating the assumptions that guide SCCT including its roots in Attribution Theory. Point three is about innocence and guilt. I agree with that point. In fact we have done SCCT research that looks at the effects of guilt or innocence on the use of crisis response strategies. It is more difficult to manage a crisis when an organization is innocent. That is why SCCT recommends denial only when in a misinformation crisis. Denial can be used in challenge crises but the reconfiguration of SCCT (presented in 2013) addresses the unique aspects of the challenge crisis. I think the two theories actually agree on this point but that is not how this point is written. Point four is about corrective action. SCCT has always included corrective action. However, SCCT considers it a part of adjusting information, not a reputation repair strategy. It is a serious oversight to claim SCCT does not discuss corrective. Simply read any recent use of SCCT and you will find corrective action is part of adjusting information. It is odd this point is missed given that adjusting and instructing information serve as the ethical base response and that is THE initial response recommended by SCCT whenever there are victims or potential victims created by a crisis. This is a serious oversight on Benoit’s part. Point five and six is about no differences between response strategies. Some studies have, some studies have not. For instance, there are no differences between effects of crisis response strategies in the same grouping on outcomes such as reputation and purchase intention. Also, as in the study cited by Benoit, moderating factors can render the crisis response strategies’ effects moot. An excellent example is the work by Claeys that shows stealing thunder makes the crisis response strategy meaningless. Some using Image Repair Theory have argued that the success of a response was due to specific strategies in the same grouping—see the study on Dow’s crisis response strategies. Again, there is agreement on this point so why is it a critique? However, the study also showed the recommended strategy was superior to the simple information strategy when there was no stealing thunder. The current recommendations for SCCT (as set forth in 2007) have experimental support. Benoit only looks at the 1996 study (initial one) and critiques the reliability of the external control and stability. Those two factors were not used to establish the difference between the strategies. Those measures were organizational reputation (very strong reliabilities that are documented in the recent book of communication measures) and crisis responsibility (again demonstrating strong reliabilities). A number of studies have documented the effect of crisis responsibility on post-crisis reputations and that situational factors do shape crisis responsibility (crisis type, crisis history, and prior reputation). Once more, the central aspects of SCCT and their documentation are ignored. There are also a number of studies that support using the ethical base response and that is can be the most effective crisis response strategy. There are limits to when crisis response strategies have an effect. It is best to document when the crisis response strategies matter and when they do not instead of using a study that examines moderating factors to claim the recommendations are completely invalid. The final point is truth. That is very subjective and is part of the revised discussion of challenges. SCCT is built for organizational crises that evolved from operational concerns. There is or is not a product harm, a chemical accident, a transportation mishap, etc. There are grey areas of crisis, SCCT argues that rumor/misinformation and challenge fall into that category. Again, this is boundary condition (limit). SCCT was not designed for political crises or celebrity crises, it is for organizational crises. The majority of organizational crises are not about issues of truth. Keep in mind others have documented the danger and failures of trying to argue “the truth” during a crisis. See Hearit’s analysis of the Intel Pentium chip flaw for an example. I would see the debate over truth fitting better with the idea of paracrises. In fact the expansion of SCCT into paracrises addresses this very point. So again I see agreement between the two theories rather than a point of critique. Fields should have multiple theories, it is good for idea development and advancement of the field. It is pointless to critique theories for differences under the guise of evaluation simply as a way to claim a particular theory is superior to another. They all have their particular value. There are times when Corporate Apologia is insightful or that the Discourse of Renewal is most appropriate. That is what I teach my students. I felt the need to bring up theses points because inaccurate critiques, such as the ones presented on pages 37-40 can be damaging to the field when they mislead students about the theories. SCCT has its limits and I have written about them. Unfortunately, some of the points raised by Benoit are clearly inaccurate and reflect a very selective reading of the research generated by SCCT. As noted in a previous post, it does take time to work out technical problems. As aviation analyst Brendan Sobie stated: “There are always teething problems with new aircraft and airlines often are reluctant to be the launch customer of any new airplanes. We saw it with other airplane types, like the A380 but the issues with the A380 were different.” But the situation has been getting worse for Boeing and its Dreamliner with each passing day. On January 16, 2013, pilots smelled something burning and executed an emergency landing of a Boeing 787 in Japan. One person suffered minor injuries while using an exit ramp. 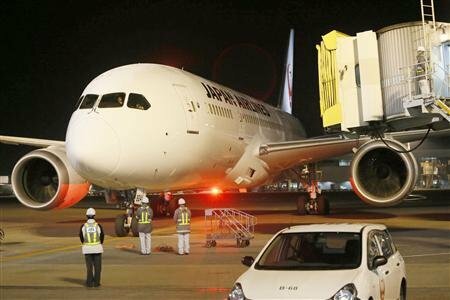 The two Japanese airlines that use the Dreamliner both voluntarily pulled the planes from service for further investigation. Below are the announcements from All Nippon Airways (ANA) and Japan Airlines. ANA 692 from Yamaguchi Ube to Haneda, Boeing 787, made an emergency landing at Takamatsu Airport at 8:47 (JST) on Wednesday, 16 January due to technical problem. All 137 passengers and crew were evacuated safely from the aircraft. The event was registered as a serious incident by Ministry of Land, Infrastructure, Transport and Tourism (MLIT). ANA will cooperate fully with the Japan Transport Safety Board, relevant authorities and Boeing to investigate the cause of the incident. All ANA flights operated by Boeing 787 have been cancelled and ANA’s fleet of 787 aircraft will remain grounded further notice. We sincerely apologize to people concerned for the inconvenience and concern caused by this incident. Please check your flight status here. Please contact ANA International Reservation and Information Center in your respective area. In response to an incident involving a 787-8 aircraft operated by another airline on January 16, 2013, JAL decided to cancel the operations of our fleet of 787-8 departing Japan the same day and January 17, 2013 to ensure complete safety. Operations of JAL´s 787-8 aircraft from January 18, 2013 will be decided after further assessment of the situation with the investigations. We sincerely apologize to all customers and related-parties for the inconvenience and concerns caused. Safety is of utmost importance to Japan Airlines and we ensure that every departing aircraft meets all safety standards before flight operations. Please be assured on your future travel with us. For the operational status of affected flights, please refer to the following website for the latest updates. On January 7, 2013 (local time), after JL008 arrived at Boston Logan International Airport from Tokyo (Narita) and after all passengers and crew members had disembarked the aircraft, smoke was detected in the aft section of the aircraft’s cabin. The fire department was called and a fire found to be from the auxiliary power unit battery located in the aft electronics bay (outside of the cabin) was extinguished. The outbound flight JL007 scheduled to depart that day was consequently cancelled. The cause of the incident is currently being investigated and additionally, subsequent to the event, Japan Airlines initiated and completed inspections on all other Boeing 787 aircraft in its fleet the following morning and found no irregularities. We sincerely apologize for the concern and inconvenience caused to our valuable customers. Safety is of utmost importance to Japan Airlines and we will continue striving to ensure safe operations of each and every flight, and on all our aircraft types including the 787 Dreamliner. Please be assured on your future travel with us. On January 8, 2013 (local time), flight JL007 was preparing for take-off after departing Boston Logan International Airport bound for Tokyo (Narita), when a fuel system trouble required the aircraft to return to the gate. Necessary maintenance was performed on the aircraft and after ensuring that flight operations were safe, JL007 was cleared for departure and departed Boston 3 hours and 46 minutes later than scheduled at 3.46p.m. (East Coast Time). The flight arrived at Tokyo (Narita) on January 9, at 7.31 p.m. (Japan Standard Time). The cause of the fuel system trouble is currently being investigated. We sincerely apologize for the concern and inconvenience caused to our valuable customers as a result of this mechanical issue. Safety is of utmost importance to Japan Airlines, and we will continue striving to ensure safe operations of each and every flight and with all aircraft types including the 787 Dreamliner. Please be assured on your future travel with us. On January 13, 2013, a Boeing 787-8 aircraft that had a fuel system trouble in Boston Logan International Airport on January 8, 2013, was at Narita Airport undergoing maintenance as part of inspections for that case when a different fuel system trouble occurred. This aircraft is not scheduled to be in service today and there are no effects on other flight schedules. The cause of the two cases is currently being investigated. We sincerely apologize to our customers and all related parties for the inconvenience and concerns cause. Safety is of utmost importance to Japan Airlines and we will ensure that every departing aircraft including the Boeing 787-8, meets all safety standards before flight operations. Please be assured on your future travel with us. 1. How have the recent events in Japan changed the situation for Boeing? What theories can be used to explain that change? 2. How would you rate the effectiveness of the response by ANA? What is the basis for your evaluation? 3. How would you rate the effectiveness of the response by Japan Airlines? What is the basis for your evaluation? 4. How would you rate the effectiveness of the response by Boeing? What is the basis for your evaluation? 5. How might the exists of multiple events for Japan Airlines created new demands for their crisis response? 6. Is there still any value in using experts saying problems are common with new planes in the risk communication for this case? Why or why not? Crises can linger for organizations. You could argue, the worse the crisis event the longer the effects can haunt an organization and its stakeholders. When crises involve a loss of life, memorial and anniversaries serve to maintain awareness of the crisis and the continuing need for crisis communication. The Costa Concordia is an example of the memorial and anniversary dimension of crisis communication and crisis management. January 13, 2013 is the one year anniversary of the Costa Concordia crisis. The Cruise ship ran aground off the coast of the Italian island of Giglio and sank killing 32 people of the 4,252 passengers and crew on board the ship. The Ship is still in the water and removal may not be complete unitl September of 2013. It is only natural to commemorate and to remember such a terrible tragedy such as this crisis. Carnival Cruise is the parent company involved in the crisis. Carnival owns Costa Crociere SpA, the operators of the Costa Concordia. Most of the crisis communication has come from Costa Crociere SpA. A year has passed since the dramatic events of the Costa Concordia, events which have left their mark on each one of us. It has affected those closest to us – our guests and our staff – and we have the sincerest compassion for the suffering they have all experienced, and for the grief of the families of those who are no longer with us. On 13 January 2013, there will be a commemoration day on the island of Giglio in memory of those who lost their lives. We will renew our thanks to the citizens of the Island, as well as to all the rescue teams, who were so generous in assisting and supporting the survivors on that night. One year on, on 13 January flags will be flown at half-mast at all Costa’s offices worldwide, and on all of our ships. A mass will be held in the ships’ theatres with a minute’s silence at the end of the service. In Genoa, the home of our head office, the local staff will attend another commemorative mass at the Basilica of St Mary of the Assumption, Carignano. As a mark of respect for our different religions, there will be an inter religious mass in Paris, Hindu ceremonies in Mumbay and Bali, a Muslim one in Jakarta, a Buddhist one in Shanghai and a Catholic mass in Goa, Jakarta, Manila and Lima. Be assured that I am personally committed, along with all of Costa Crociere and the rest of the cruise industry, to make every possible effort to prevent something like this from happening again. The safety of our guests and crew has always been and will continue to be our paramount priority. We would like to thank all those have given us continued trust and loyalty. We hope that all our prayers on this sad anniversary, expressed in different languages and beliefs but with a single voice, will help lead us to a brighter future. “’We are sure that you will understand both the logistical impossibility of accommodating all of you on the island, as well as the desire for privacy expressed by the families at this sorrowful time,’ Costa chief executive Michael Thamm wrote in the letter obtained by The Associated Press. There was a compromise as survivors who did arrive in Giglio were accommodated. However, the memorial and commemoration was much more contentious than was planned making a healing event divisive in some respects. 1. Why was the idea of Costa Crociere SpA planning an anniversary and memorial a good idea? 2. How could Costa Crociere SpA have executed the anniversary and memorial more effectively? 3. What other factors can account for the tension between the survivors and Costa Crociere SpA? 4. What are the purposes of a memorial for a crisis? 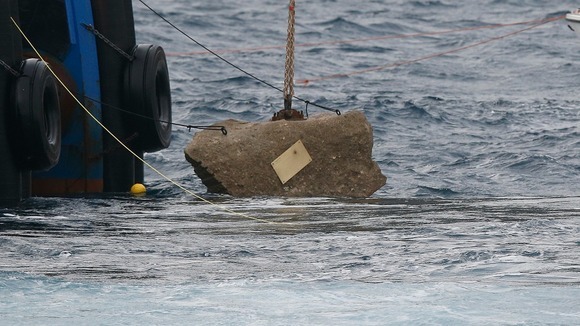 Does it seem like the Costa Concordia memorial will achieve these purposes? Why or why not? 5. What are the dangers when an organization becomes involved in memorial efforts? 6. There is a closed Facebook page for Costa Concordia survivors. How might this page have been of use when Costa Crociere SpA was planning the memorial and anniversary? Any company is worried when it launches a new product. There are concerns over sales and performance. One example is when new car model is offered. People often shy away from the first year of a new car because there are “bugs” in the system that need to fixed. The people buying the new product become beta testers and often have to endure recalls to correct the flaws that are expected to appear. Now when your new product costs over $200 million and flies through the air, there is even greater concerns when bugs appear. However, any new product has minor problems, even airplanes. Thus far, the airlines that have ordered the planes have expressed confidence in the new plane. More recently, there was an oil leak and problem with the cockpit. 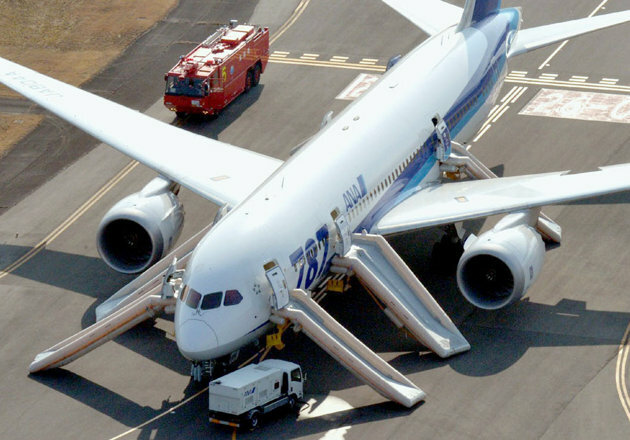 These problems were experienced by All Nippon Airways. Japan has been the largest purchaser of the Dreamliner but you also have airlines in Qatar, India, Ethiopia, Poland, and the U.S. who have purchased and/or are using the planes. The Dreamliner is revolutionary in its use of composites and fuel savings generated by using these new materials. The minor problems have caught the attention of the Federal Aviation Administration (FAA) in the U.S. The FAA has ordered a comprehensive review of the critical systems on the Dreamliner. This could further eroded airline and passenger confidence in the new airplane. EVERETT, Wash., Jan. 11, 2013 /PRNewswire/ — Boeing [NYSE:BA] is confident in the design and performance of the 787. It is a safe and efficient airplane that brings tremendous value to our customers and an improved flying experience to their passengers. The airplane has logged 50,000 hours of flight and there are more than 150 flights occurring daily. Its in-service performance is on par with the industry’s best-ever introduction into service – the Boeing 777. Like the 777, at 15 months of service, we are seeing the 787’s fleet wide dispatch reliability well above 90 percent. More than a year ago, the 787 completed the most robust and rigorous certification process in the history of the FAA. We remain fully confident in the airplane’s design and production system. Regular reviews of program and technical progress are an important part of the validation and oversight process that has created today’s safe and efficient air transportation system. While the 787’s reliability is on par with the best in class, we have experienced in-service issues in recent months and we are never satisfied while there is room for improvement. For that reason, today we jointly announced with the U.S. Federal Aviation Administration (FAA) the start of a review of the 787’s recent issues and critical systems. We welcome the opportunity to conduct this joint review. Our standard practice calls on us to apply rigorous and ongoing validation of our tools, processes and systems so that we can always be ensured that our products bring the highest levels of safety and reliability to our customers. Just as we are confident in the airplane, we are equally confident in the regulatory process that has been applied to the 787 since its design inception. With this airplane, the FAA conducted its most robust certification process ever. We expect that this review will complement that effort. 1. How bad is the situation for Boeing and what leads you to that conclusion? 2. What role can public relations play in helping to address this problem? 3. Some media outlets have found experts that say minor problems are common in new airplanes. Who might this type of information help Boeing? Hurt Boeing? 4. Why should the FAA announcement be so significant in this case? 5. How would you evaluate Boeing’s response and what is the rationale for your evaluation? 6. What else might Boeing doing and how would those efforts help? 7. How is publicity working against Boeing in this case? In 2008, there was a global meltdown of the financial markets. Most experts feel the financial institutions and lax government policies contributed to this financial disaster. Many companies did not survive. In the U.S., a number of financial companies survived due to a bailout from the Federal government. Among those receiving a bailout was AIG, a financial/insurance company. AIG received a little over $182 billion dollars in the bailout. In return, the U.S. government received stock in the company. Taxpayers had mix reactions about their money being used to bailout financial companies that had helped to create the problem. The term “too big to fail” was used as a justification. In other words, these large companies were important and their failure would make the economic situation worse. 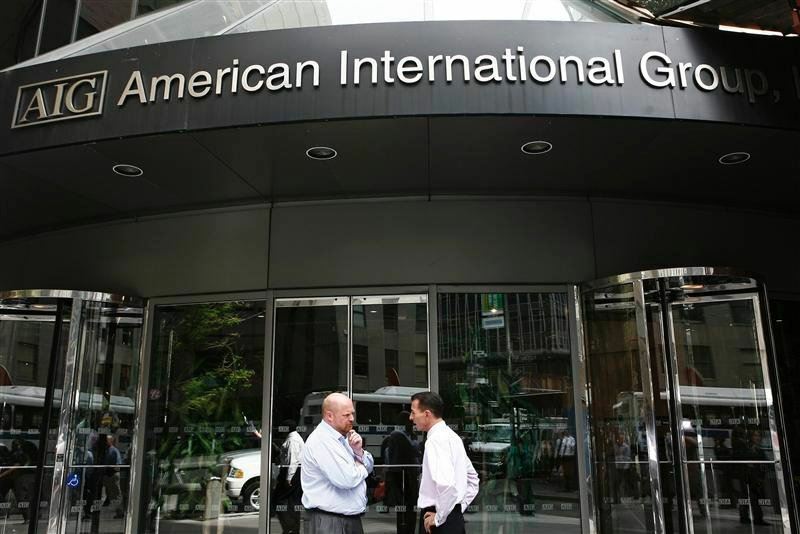 Even some experts thought the U.S. government would not recoup the money it loaned AIG. By the end of 2012, the U.S. government had sold all of its shares of AIG and turned a profit of over $22 million on the deal. Still the reputations of financial institutions that took bailouts remained grim. Most people still disliked the bailouts and had negative views of financial institutions. The new campaign will run for two weeks, and will include broadcast, online, and print placements. Television ads will run on high impact programming: sporting events, including NCAA Football Bowl Championship Series games and NFL playoff games; national morning shows including The Today Show and Good Morning America; and primetime television, including The Golden Globes, 60 Minutes, and Dateline. Print ads will appear in upcoming issues of major publications, including The Economist, The Financial Times, The Houston Chronicle, The Los Angeles Times, The New York Times, USAToday, The Wall Street Journal, and major trade journals. Online ads buys include a masthead and mobile roadblock on YouTube, and homepage takeovers of nytimes.com, MSN.com, WSJ.com and Yahoo!. The campaign will also be promoted on social media and can be seen on AIG’s YouTube channel. The campaign highlights the pay back but also shows the different ways AIG has been helping Americans recover from disasters such as Hurricane Sandy. The message is a positive one of repayment and recovery for AIG and the U.S. We will have to see how people react to these messages. 1. What are the benefits to AIG of this campaign? 2. What are the dangers to AIG of this campaign? 3. Why would AIG be using such a heavy push in social media and legacy media? 4. If you were at AIG, how would you defend taking the original bailout money? 5. Why do financial institutions have a lingering reputation problem? 6. What other actions need to be taken to help financial institutions repair their reputations and why will these actions help? The US women just completed an amazing Olympics. Blog writer loves track and field so I will mention the world recording 4 by 100 relay and a blistering 4 by 400 relay by the women runners. Allyson Felix stood out by winning 3 gold medals and making the finals of the 100 meters. If you like other sports there are story lines for those as well. One thing the Olympics cannot escape is sponsorship issues. The negatives for the US women revolved around sponsorship issues. The issue as Rule 40. Basically athletes cannot use the Olympics to market/promote no-Olympic sponsors. That means Adidas is okay but not Nike. So athletes like Sanya Richards-Ross complained about it. This was commercial not free speech and detracted from Olympic performances. The Olympics sets rules and participation is an honor not a right. Detraction number 1. Detraction number 2 was the controversy over the women’s soccer team donning shirts reading “Greatness has been found.” It was considered gloating and in poor taste. Again, it becomes about the sponsors and what they want harms the athletes. 1. Is the shirt situation a crisis or an incident for Nike? Explain your decision. 2. Is it unethical for non-Olympic sponsor to pressure athletes into marking for them during the Olympics? Why or why not? 3. What arguments can be made for and against the US Women’s Soccer Team wearing the victory shirts? 4. Overall, how have Nike’s actions impacted potential customers, especially women? 5. 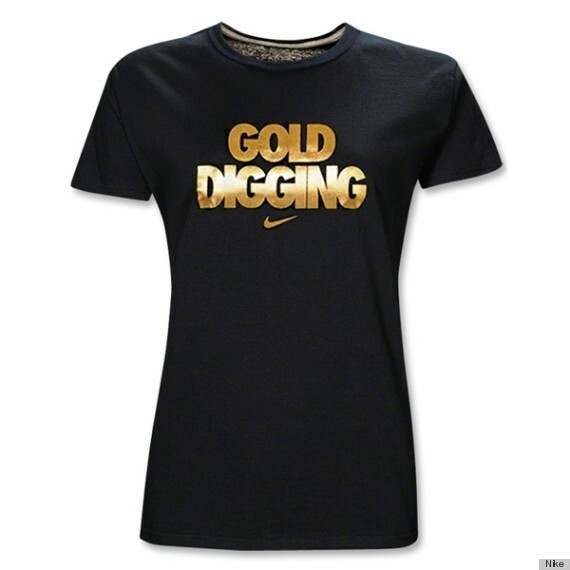 If you were Nike, how would you defend the gold digging shirt? Part of the book cover.